You gain a certain satisfaction from becoming the ‘it’ person for a thing. The person with the well appointed and sorted library. The person with the to die for car collection, or what have you. This is because enjoyment and relaxation are serious business. The more we engage with our pastimes, the more robust the depth our participation, the more rewarding the experience. Tea has long been a passion for cultures ancient and modern. We crave the beauty and depth of the ritual and the many flavors and aromas therein. Currently, you can access teas from all over the world. You have all the knowledge and equipment, how do you move forward in your experience? The best tea shops feature rooms with engrossing decor and marvelous accouterments that draw you in. Learn more about these places and see what inspires you. The following list showcases tea room designs that bolster the already engrossing experience of tea. They combine the power of our favorite respite with the value of social interaction. The combination of decor, accompaniment, and service being out the best of all worlds. This modern tea house combines creative themed decor with enticing drink ideas. The decor itself shifts from bold but simple colors to 3D elements. Entering the Tea Cup feels very much like taking a magical journey. That they also offer tea infused and inspired cocktails makes this a double danger. A visit mid-afternoon and evening strikes a very different emotional chord. If you find you enjoy it, the three nearly identical (differing in size) locations in the city make finding a table easy. This Victorian style tea house lays out all of the classics in decor. You could warp their polished silver, lace table coverings, and bone china back a hundred years and fit in just fine. They offer a High Tea and an Afternoon Service with reflecting offerings in tasty cakes and cookies. Enjoy their signature coconut and pineapple black tea. Take in the scent of the garden and lush semi-tropical temperatures. 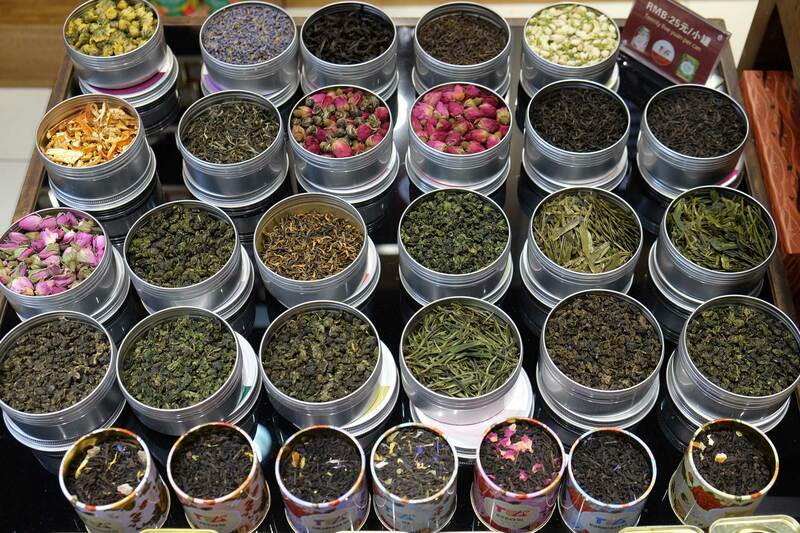 In continuous operation since 1642, this tea shops offers an extensive collection of teas new and old. The antique fixtures and devices sit alongside modern presses and brewing devices. Upstairs a salon offers a relaxing sipping atmosphere with a view of the Dutch streets. Pick up an order of Jodenkoeken and English marmalade to bring out the best in your tea experience. They also offer coffee and spices (for those on the fence about tea connoisseurship). These enhance the aromas permeating the shop and the salon. A touch of Kyoto in downtown Paris, for those that want to put the international in their tea experience. The decor resembles a bamboo forest with rich wood colors and darker accents. The upstairs area offers tastings and a retail shop. The sweets offered as an accompaniment at the tasting counter are exquisite. The downstairs solidifies this as a best of in tea shop interior concepts. Engage in an authentic matcha ceremony with all the trimmings. The descent into the downstairs produces that entering into a secret space feel that enriches. Customization is the order of the day at the Royal Elixer. Rather than offer a specific experience steeped in history or the traditions of one land or another. Become your own amateur tea sommelier through the Elixer’s personal blend creation. Start with a basic background in white, black, or green tea and piece together your flavors and highlights. The friendly staff helps you record your concoction as you go. Sample and brew throughout and leave with your own signature blend. The atmosphere of fellow alchemical tonic enthusiasts makes a terrific outing. Touting itself as the oldest independent American tea room, the Queen Mary brings old world traditions with it. The setting takes itself quite seriously. Bone china, a Victorian decor, and finger sandwiches. The atmosphere, however, practically glows with light conversation and warmth. The High Tea provides a host of snacks and sweets piled high on polished settings. Service offerings are made to order and customizable. That makes this also an approachable first-timer experience. After Chinese and Elizabethan tea traditions, the next most likely to be mentioned is genteel Southern. The Gryphon brings together a couple of generations of enthusiasts from the nearby Savannah College of Art and Design. The building itself was once a pharmacy haling back to the Victorian era. One-part tea house and one-part reading room, you can while away the hours sipping tea and reading. The price is also geared towards the student population. A large pot complete with sweetener options nets only a $6 charge. Come for the extensive selection of rooibos tea and also stay for it. This shop sells only locally grown rooibos tea blended and flavored with a rich assortment of ingredients. Nothing is off limits within their 100 blends. The sweet and the floral meet the spicy and the herbal and everything in-between. Service offers a seat in the on-site garden and a selection of five flavors to sift through over an hour-long session. Since it is on the cape you can also catch a whiff of ocean water in the warm year-round air. For the visual learning in life, visit the Great Wall Tea Co. and their signature mosaic wall. Here, you will find a sample picture of every blend they offer. Select an image and the magnetic lid is removed to reveal the blend inside. With 150 options available daily and a catalog of 568, the decor changes every visit. The newest tea shop to make this list, Tokyo Saryo celebrated its 2-year anniversary recently. All wood and stucco-finished walls are classic Japanese design. Everything is minimalist from the walls to the fixtures to the stools. The specialty tea is a world’s first hand-dripped green tea. Come at night for a powerful nighttime tea ceremony. Visit in the day to participate in a brew and pour your own experience. Don’t forget to indulge in a semi-sweet traditional Japanse dessert. Don’t see your favorite in this list? Want to see your own aspirations placed among them? Add your own tea room to these best tea shops with some ingenuity and a trip to our directory. It is free to list your tea business including your tea shop. We would love to include you in our directory. Share what you love with the people around you and let the world know that you are serious about tea.